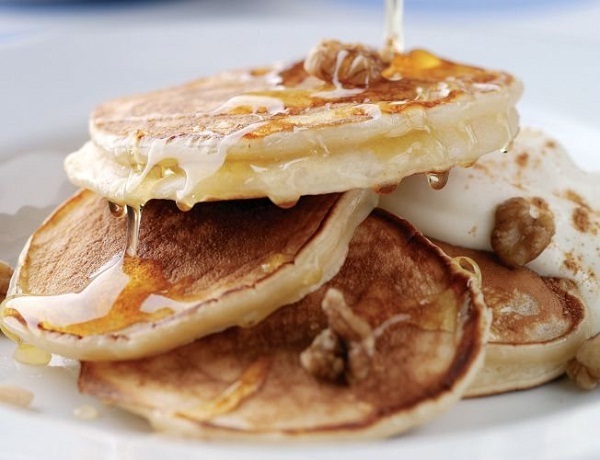 Unlike generally pancake usually a round with the sweet topping. 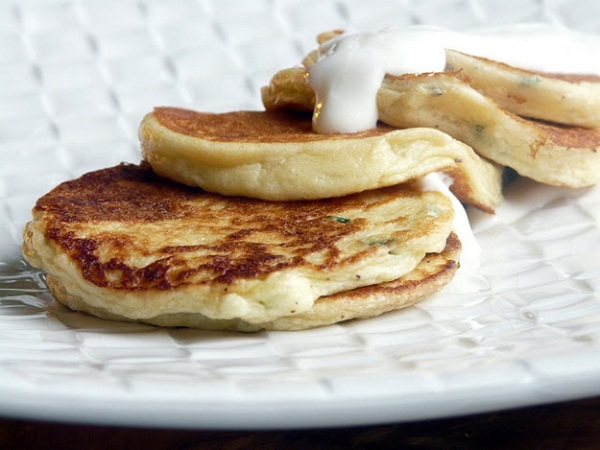 But in Europe, there are also pancakes were presented in a way folded and stuffed with a savory foods. 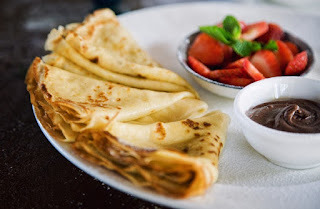 Crepe is a type of thin pancake made from wheat flour or buckwheat flour. Both sides of the crepe is cooked until done and then folded. In the middle of folded is usually stuffed with a sweet or savory foods. Such as chocolate and fruit, cheese, or vegetables sauteed. 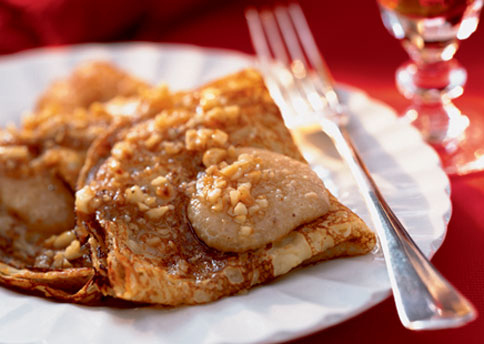 The traditional crepe dough consisting of flour, sugar, eggs, and milk. The traditional Greece pancake, Tiganites has been presented since 2600 years ago. Usually given a splash of honey, cinnamon, fruit, or nuts. There is also Tiganites spread with Anthotyro a kind of cheese from goat's milk. 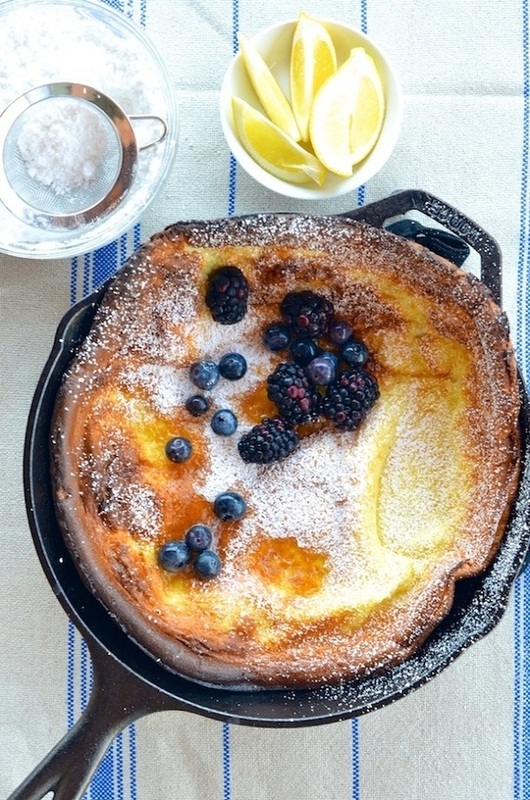 In Netherlands has a variant called "Pannenkoeken" or "Dutch Baby Pancakes". Made from eggs, flour, sugar, and milk. Also spiced with vanilla and cinnamon. When ordinary pancake cooked on a non-stick skillet, Dutch Baby baked in the oven until well done. Generally served with lemon juice, butter, powdered sugar, and fruits. The savory pancake variant from Swedish called Raggmunk. Its main ingredient is grated potato, flour, and eggs. There is also to add grated garlic or onions in batter. Raggmunk's topping include sour cream or cottage cheese and applesauce or sugar.